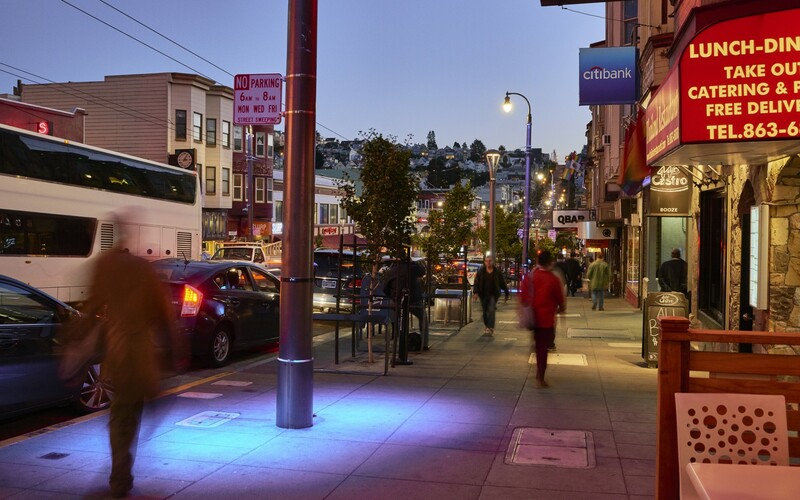 Lighting Systems Inc. worked with the San Francisco Public Utilities Commission to design a new color changing lighting system for the Castro Street Business District. 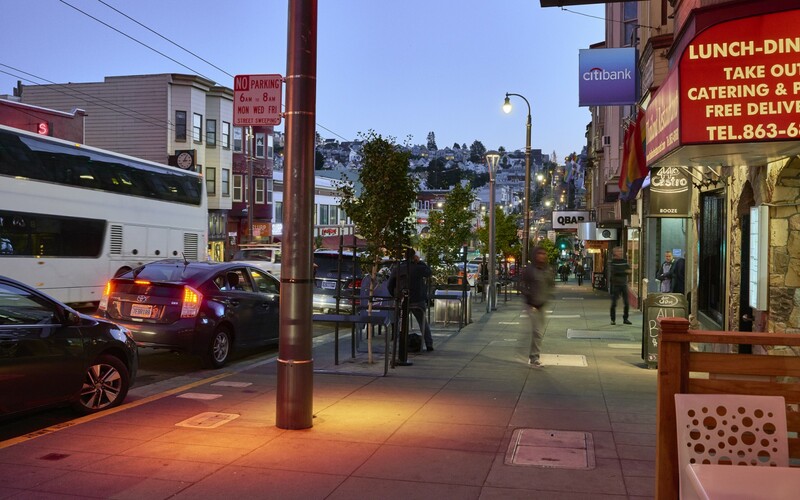 The firm used Lumentalk-controlled Lumenbeam Large fixtures double mounted on 24 poles installed every few feet along the two-block district. 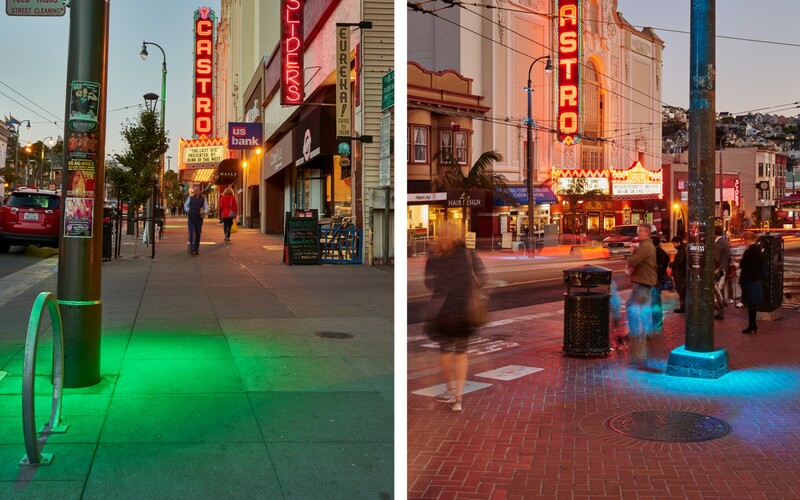 Each 26-foot-high luminaire spreads a 6-foot radius of color-changing light onto the sidewalks below. The result decorates the neighborhood with rainbow colors as a sign of LGBT pride. 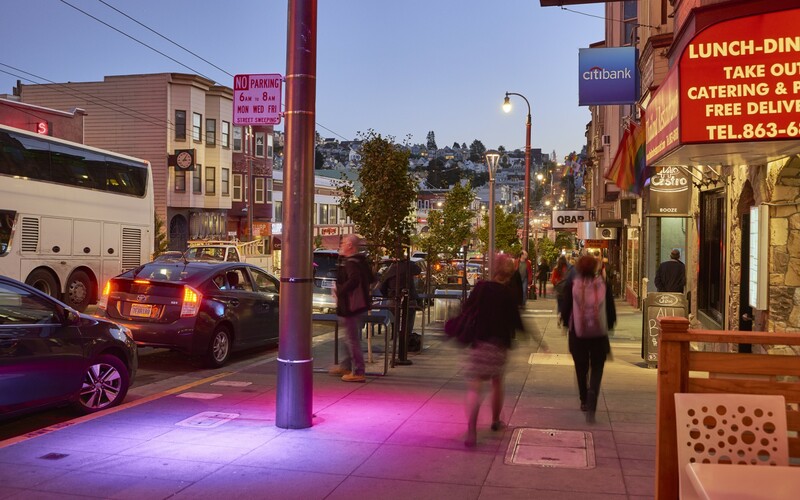 Lighting Design: Lighting Systems, Inc.
Lumentalk technology brings decorative, rainbow lighting to the historic Castro Street Business District in San Francisco. The new design uses pole-mounted Lumenbeam Large luminaires and Lumentalk controls. The whole setup is done with just that equipment alone, which massively reduced complications during installation. Located in the heart of San Francisco's Castro neighborhood, the Castro Street Business District extends from Market Street to 19th Street. Though it's only two blocks long, the business district has achieved worldwide recognition as the site of many historic lesbian, gay, bisexual, and transgender (LGBT) events, marches and protests. 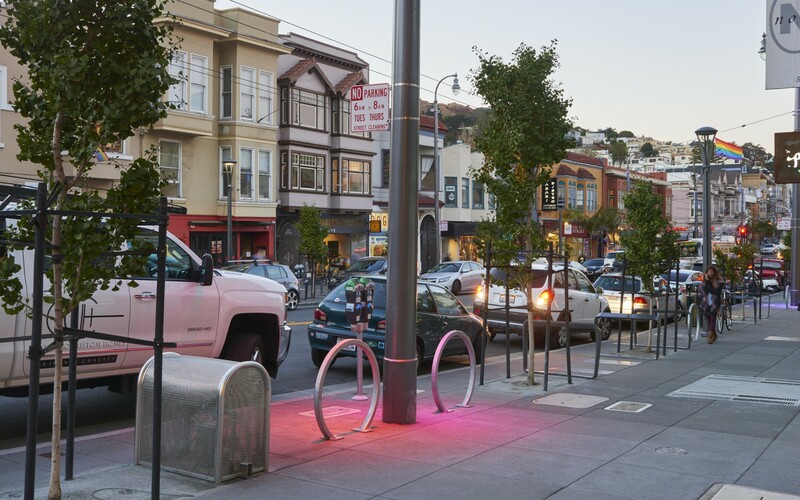 To give the district the iconic presence it deserved, the San Francisco Planning Department, Municipal Transportation Agency and Department of Public Works joined forces to implement streetscape and landscape improvements that included decorative, RGB LED lighting. Scott Niles of Lighting Systems Inc. worked with the San Francisco Public Utilities Commission to design the new lighting system. 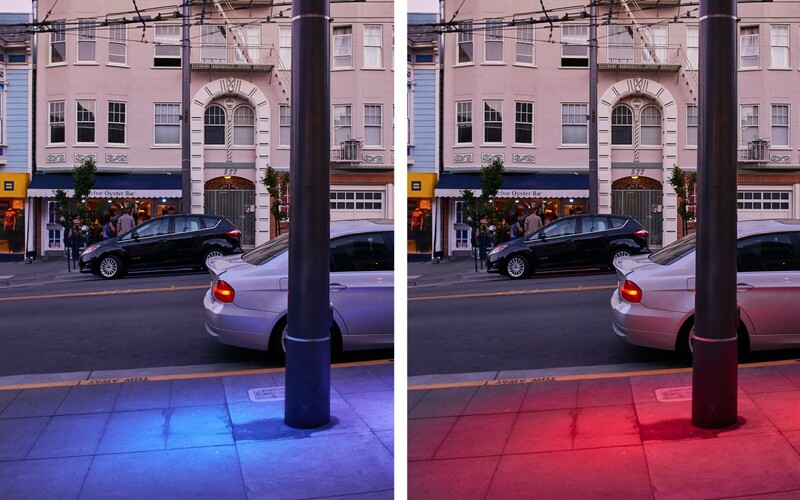 "The district wanted color-changing LED pole lights, but had a limited budget," says Niles. "We initially designed a system that had in-ground power and data controls. 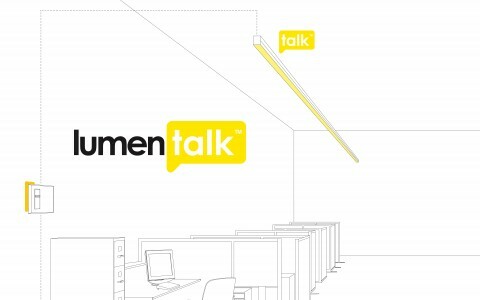 But then we found out about Lumentalk technology and knew we had to modify the design." Using Lumentalk, a breakthrough technology that allows LED fixtures to be dimmed and controlled over existing power lines, Niles reworked the initial design to reduce unnecessary equipment and improve performance. "We were able to simplify the design by eliminating points of failure and getting rid of the data wires," he explains. 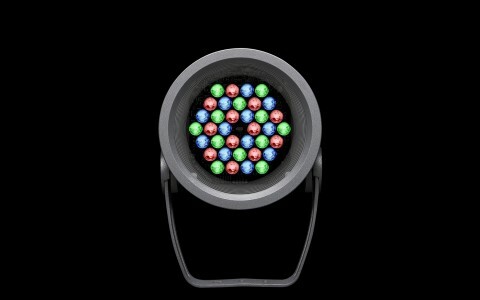 "The new design uses pole-mounted Lumenbeam Large luminaires and Lumentalk controls. The whole setup is done with just that equipment alone, which massively reduced complications during installation. Another benefit is that it is wet location rated, which is necessary for this environment. Overall, it's a much better design and system." 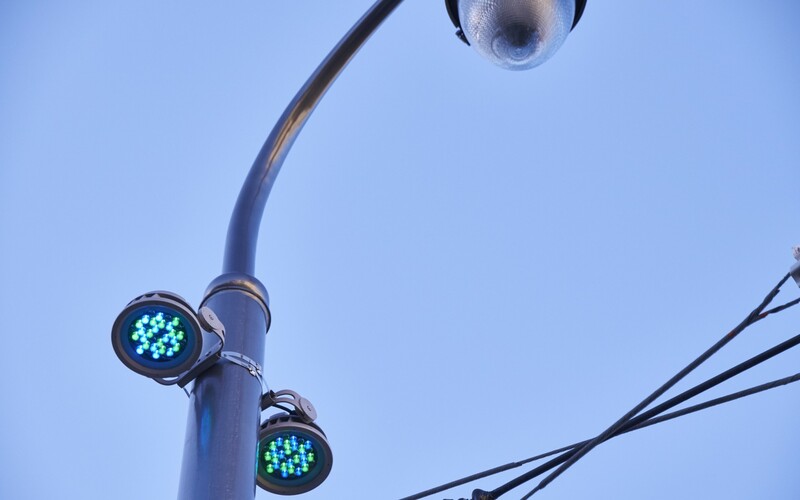 There are now 48 Lumentalk-controlled Lumenbeam Large fixtures double mounted on 24 poles installed every few feet along the streets of the two-block district. 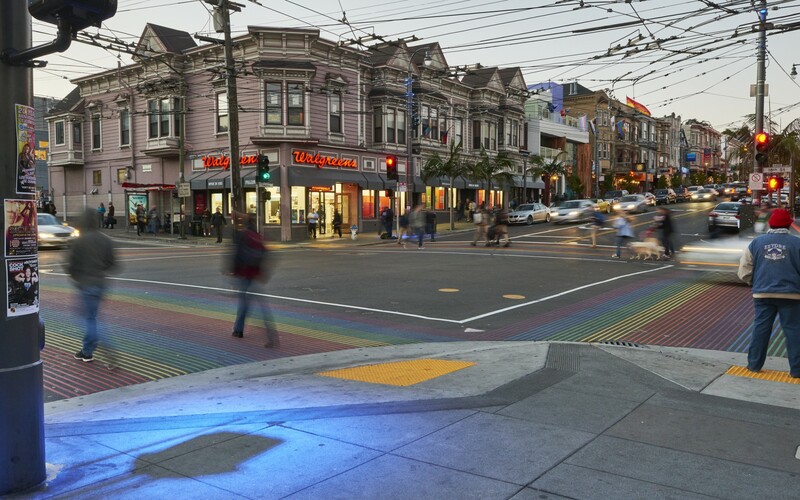 Each 26-foot-high luminaire spreads a 6-foot radius of color-changing light onto the sidewalks below, imbuing the neighborhood with rainbow hues as a sign of LGBT pride.